Tomcat Refillable Bait Stations are used to capture mice. They have a clear lid for easy monitoring, and are made of a sturdy plastic. 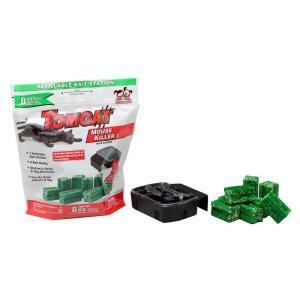 Tomcat refillable bait stations are available with a 4, 8, or 16 ounce packages of 1oz bait blocks.